LANSING—Sen. 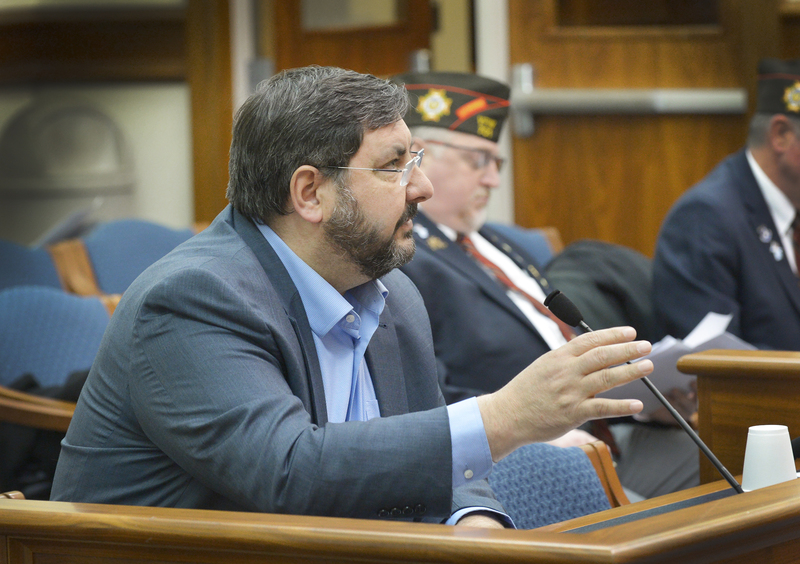 Jim Stamas spoke before the Senate veterans committee on Thursday about the importance of connecting military veterans returning home with employment information and with benefits that they earned in service to the nation. The committee approved Senate Bill 52, sending it to the full Senate for consideration. Under the bill, the Michigan Veterans Affairs Agency would take over responsibility of sending a “welcome home” letter to veterans returning home about veterans service organizations in Michigan and useful tools to help them transition to a civilian lifestyle. If you are a veteran and have questions, or for more information about the Michigan Veterans Affairs Agency, residents may visit the agency’s website at www.michiganveterans.com or call them at 1-800-MICH-VET. Editor’s Note: A print-quality photograph of Stamas is available by clicking on the image or by visiting Stamas’ website at: www.SenatorJimStamas.com. Click on “Photowire” under the Media Center tab.